Wondering what kind of gift to purchase for those hard-to-shop for people on your list? Consider a special contribution to Ahimsa House to honor the caring and generous spirit of your friends and family. This is a unique gift that makes a lasting impact throughout the year. Tribute donations can be made in honor or in memory of a special person, pet, or occasion. It may be a member of your family, a friend, a business associate, or a neighbor. These donations not only show how much you care about your special someone or pet, but they also show how much you care about the important work we do here at Ahimsa House.  Honorary and Memorial gifts to Ahimsa House can express sympathy, love, appreciation, congratulations or best wishes to those you honor or remember. When you make an honorary or memorial gift, Ahimsa House will send an appropriate, personalized acknowledgment to individuals or family members letting them know you’ve honored them or a loved one with a special donation to Ahimsa House. Also, we will list your donation in the Tribute section of our website. If you make a gift of $100 or more honoring a pet, we invite you to include a photo as well. Online via credit card, by clicking here or on the “Donate” button on the top of this page. Print and mail our PDF order form by clicking here and follow the instructions on the form.